Current ‘Annotations’ artist in residence Heather Phillipson will host a reading group. We will use three short texts as a starting point for a discussion around irreverence as riposte and disruption. As Bell Hooks said, ‘there can be no meaningful revolution without humour’. The short texts include Mary Ruefle's essay Kangaroo Beach, Leonora Carrington's manifesto Jezzamathatics, or introduction to the wonderful process of painting, and Joanna Ruocco's short story Multi-Course Small Plates, Craft Lofts, Prix Fixe. Texts will be emailed to all ticket holders in advance of the evening. 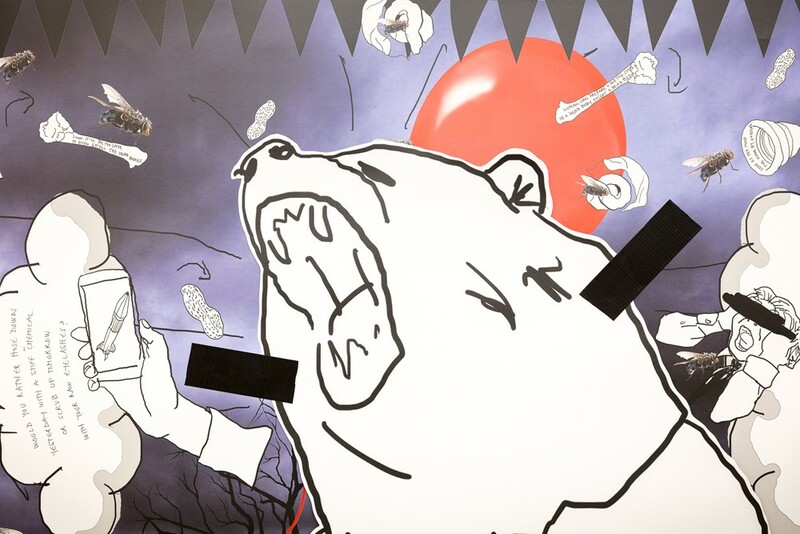 Heather Phillipson works across video, sculpture, music, drawing and poetry. Her forthcoming projects include the Fourth Plinth, Trafalgar Square, in 2020, a new online commission for Museum of Contemporary Art Chicago, a sculptural commission for Art on the Underground's flagship site at Gloucester Road and a major solo show at BALTIC Centre for Contemporary Art, all in 2018. Recent solo projects include: Screens Series, New Museum, New York; Whitechapel Gallery, London; Frieze Projects New York; 32nd São Paolo Biennale, Brazil; Schirn Kunsthalle Frankfurt, the 14th Istanbul Biennial and Performa New York. Phillipson is also an award-winning poet and has published three volumes of poetry. She was named a Next Generation Poet in 2014, received Poetry magazine's Friends of Literature prize in 2016, and writes a regular column for ArtReview magazine. She received the Film London Jarman Award in 2016. Annotations is a series of artist residencies resulting in new commissions for Outset Study. Supported by Veronique Parke and Outset Contemporary Art Fund. Heather Phillipson has been awarded the Trafalgar Square Fourth Plinth commission for 2020.